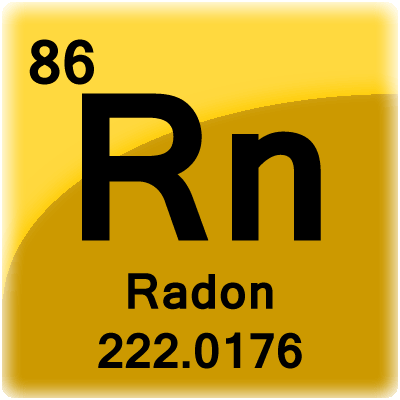 Radon is a naturally occurring radioactive gas produced by the breakdown of uranium in soil, rock and water. Due to the fact that the air pressure inside the building is lower than the pressure around the building’s foundation, radon is released through foundation cracks and other openings. Radon can also be present in well water and released when water is used for household uses. In this case, amounts released are at a much lower levels when compared to those released from soil. The Environmental Protection Agency (EPA) recommends fixing your home if the results of tests show radon levels of 4 pCi/L (picocuries per liter) or higher. There are several methods that can be used to lower radon levels in your home. EPA generally recommends methods that prevent the entry of radon such as soil suction which prevents radon from entering your home by drawing it through pipe(s) to the air above the building where it is quickly diluted. Sealing cracks and other openings in the foundation is also a generally accepted approach to radon reduction.